Though the tiger is one of the most powerful mammals, it also faces the worst chances of being extinct. Tigers have been hunted heavily by humans over the past few years. The tiger population in the Indian sub-continent has declined seriously in the past fifty years. Nepal has only two hundred tigers, while India has only about one thousand five hundred, a serious decline from the past figures. China and Korea are the biggest criminals as far as tiger poaching is concerned. In the nineteen hundreds, the entire tiger population was more than one lakh. However, today the global tiger population is between five thousand and seven thousand animals. Of the 8 species of tigers, only 5 are still in existence today. Once they are gone, they will be gone forever. What would life be like if we couldn't show our children and our grandchildren the beauty if these animals? It would be a great tragedy. That is why something must be done now before they become extinct. Tigers have been hunted by humans since time incarnate. In ancient times, some tigers were also tamed and kept as pets by royalty. Indeed, a tamed cat would add much color to the royal nature of people at that time. 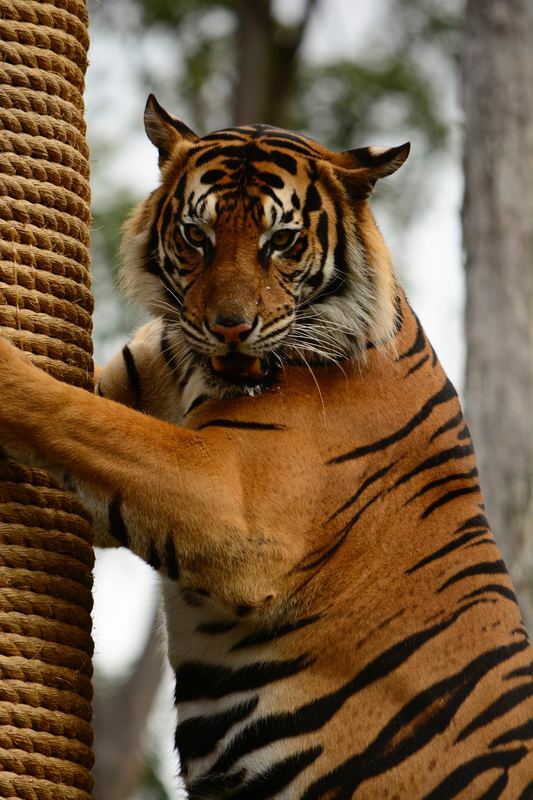 Tiger hunting was a sport played by royalty in ancient times. Also, in many Asian countries, there many superstitions regarding tigers. It doesn't matter whether wearing a talisman made out of a tiger's claw has any supernatural powers or not - a tiger will lose his life so that someone makes money out of it. Other than that, tigers have been hunted for their fur. Ironically, the biggest enemies of tigers may be the connection they have with masculinity and strength in the minds of their largest predators, humans. Almost everything related to the tiger has been sold and held in high esteem and price, be it their claws, their fur, their teeth and in some cases, their eyes. The tiger's body organs have also been rumored to be a cure for many of human ailments. This has also resulted in the reckless poaching of tigers, making the tigers an endangered species today. Most of the tiger's body parts are said to be aphrodisiacs, medicines or poisons - possibly the most powerful in the world. This false notion has therefore made hunters hunt tigers for their whiskers, the aforementioned whiskers, their eyes, the aforementioned talismans and their penises, liver and fat, the aforementioned aphrodisiacs. The bones of a tiger are also said to be prized medicines. Other than simple hunting, humans have also changed the natural habitat of the tiger. Humans have encroached on tiger land, which more often than not results in hunting tigers in the end. They have also destroyed their habitats by cutting down trees and polluting the atmosphere. More seriously, humans have hunted their prey, forcing tigers to either starve or take more risks. In reality, the tiger does not hunt any animal larger than itself, for example the elephant. There are now serious actions taken for the survival of this majestic beast at the brink of extinction. All sub species of the tiger, like the white tiger has been proclaimed to be endangered. China has banned the sale of all and any tiger related products since 1993. 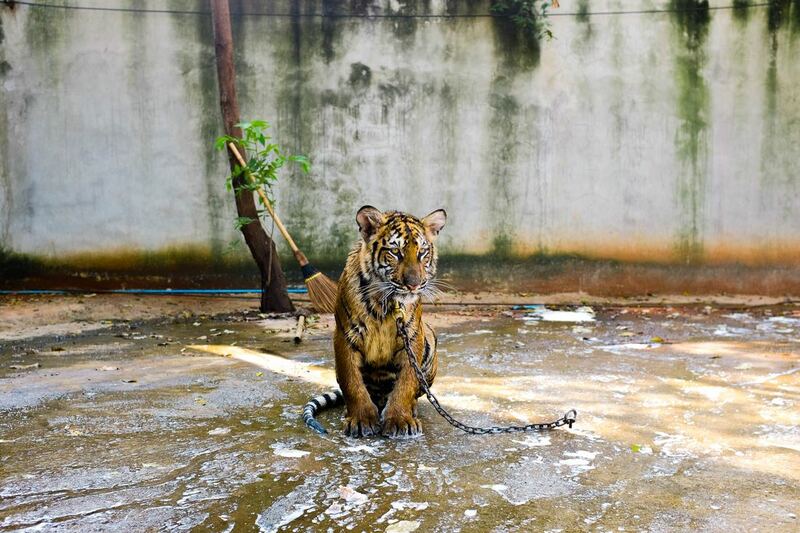 Since then, illegal poaching of tigers for their fur, bones and other organs is rampant. Preservation of tiger reserves needs to be enforced with stiffer penalties for those who break the law. Educate yourself and others on tigers. Learn everything you can about these how to save these animals. Knowledge truly is a powerful tool. Start writing campaigns and petitions to send to the magazines and media. The more support the better. Financial support to tiger preservation groups will help. They are doing great things for these animals and they need support. Most zoos have information available for organizations in your region. Check with them for more information.